Good afternoon. I will begin my lesson for the ninth chapter. The task at hand is to unveil to you the Holy Nation. This Nation does not form automatically it needs efforts to build it. We take a pattern from Moses when sent to deliver the Israelites. In God’s eyes they were already a fully fledged Holy Nation, but in the natural they had to be built to become that Nation. The task of Moses was to bring together a group of slaves and build a nation again. He had to bring them together as tribes each under its own banner. He had to give each tribe it’s identity and calling within a nation. There was no tribe that was called to benefit themselves alone as a tribe. Each tribe had to minister to the whole nation. I would underline that if I wete you. Moses was developing tribes that would become of service to the entire nation. No tribe was given laws of independence and self survival. Let us take the Tribe of Levi as our example. And the Lord said unto Aaron, Thou and thy sons and thy father’s house with thee shall bear the iniquity of the sanctuary: and thou and thy sons with thee shall bear the iniquity of your priesthood. And thy brethren also of the tribe of Levi, the tribe of thy father, bring thou with thee, that they may be joined unto thee, and minister unto thee: but thou and thy sons with thee shall minister before the tabernacle of witness. And they shall keep thy charge, and the charge of all the tabernacle: only they shall not come nigh the vessels of the sanctuary and the altar, that neither they, nor ye also, die. And they shall be joined unto thee, and keep the charge of the tabernacle of the congregation, for all the service of the tabernacle: and a stranger shall not come nigh unto you. And ye shall keep the charge of the sanctuary, and the charge of the altar: that there be no wrath any more upon the children of Israel. No tribe was sent to build its own Empire but every tribe was sent to be of Kingdom service to all the Tribes of Israel. And this is the blessing of Judah: and he said, Hear, Lord , the voice of Judah, and bring him unto his people: let his hands be sufficient for him; and be thou an help to him from his enemies. Both Moses and Jacob spoke the duties of Judah to Israel. They both confirmed Judah as the Tribe that will provide leadership and Kings to the other tribe ” until Shiloh come”. Now as Moses developed them as a Nation he gave each Tribe duties of allegiance to the Nation. The tribe of Reuben lost its forthright to the Tribe of Ephraim. Though Judah was the Ruler the forthright belonged to the Son of Joseph. Now this birthright was the right to divide the inheritance of Canaan among all the brothers through Joshua. There are many verses that proves that each tribe was designed to serve the whole nation. Moses had to group them as tribes under each banner. This was not to build them to discriminate other Tribes but to serve other Tribes. The Tribe of Ephraim played one of the roles of the role of the Holy Spirit which is to divide the inheritance among sons. But Ephraim had to first make sure that they are Sons by circumcising them. And Joshua made him sharp knives, and circumcised the children of Israel at the hill of the foreskins. And this is the cause why Joshua did circumcise: All the people that came out of Egypt, that were males, even all the men of war, died in the wilderness by the way, after they came out of Egypt. It was given to the Levites to bring Israel before God but it was given to Ephraim through Joshua to circumcise them. Making them ready for Economy. They were never trained to swallow other Tribes and make one big tribe. They were trained to grow other Tribes to make one big nation. Does your church as a clan and tribe understand this role? Or are they building an empire of one big tribe at the expense of the nation? Are your Apostles and Prophets doing the work of Moses; which is to build the Holy Nation; or are they building a Mega Tribe that will swallow the Nation? Though Moses was a Levite he never led for only Levites to benefit. Though Joshua was from Ephraim he never shared the economy of Canaan to only benefit the Ephtaimites. Though David was King of Israel he fought for all the the Nation of Israel not only for Judah. Are you building the Holy Nation or a Mega Tribe? Capitalist cultured leaders build Mega Tribe but Sons build The Holy Nation. Our last three chapters dealt with three characters for a study. We brought into the picture what we coined Holy Moses and we said God was looking for a Holy Nation that will enter the Holy Land and not the Holy Moses. Therefore the assignment of Moses was to bring the Slave people into a Holy Nation consciousness. Some could argue and say Moses failed in his ministry because he was sent to take people to Canaan Land. I want to argue that thinking and say to you that Moses achieved his calling. His calling was to build a Nation out of slaves. The first thing in building a Nation is to write a Constitution of that Nation. Moses did this and he did it well. He used his Scribal Grace to bring an identity to a slave people and give a Holy Nation Identity. For no one would be allowed to enter Canaan with an incomplete National Identity. For if your Identity is Incomplete so is your Destiny. Therefore Moses gave them Identity of a Holy Nation in the form of a Constitution or Law. This assignment of Moses is vital for it is still needed today. Most people regard Moses ministry as 1. Taking them out of Egypt and 2. Taking them to Canaan. This is a very limited way of approaching the call of Moses. And thou shalt say unto Pharaoh, Thus saith the Lord , Israel is my son, even my firstborn: And I say unto thee, Let my son go, that he may serve me: and if thou refuse to let him go, behold, I will slay thy son, even thy firstborn. The message here is that “Israel is My Son!” Not Moses is my Son. Now this is the message to all those who are called by God. Even though to everybody’s eyes the Children of Jacob were Slaves God saw them as a complete Son already. The First Born the Holy Nation. We are called to go and bring back the Son and not the Slave. As the Holy Nation we are called to reach out to Sons. We are not called to go and convince them that they are Slaves or Servants and we as the called are Sons. God is looking for His Sons even if Satan has kept them as Slaves. Today there are preachers who have turned church into their slave and treat preacher as son. No Holy Nation ambassador can say that! It is impossible to be a Holy Nation Ambassador and behave that way. In the Holy Nation we don’t have Capitalism we have Sonship. Capitalism understand people as classes that are unequal which are to be rewarded and treated in that manner. For people to see others in this manner they can’t do this in a Holy Nation. That is why they designed a new nation called Christian Nation. Christian Nation has been the biggest vehicle of Capitalism in the whole world. In its capitalist dealings it condoned discrimination. In its dealings they saw themselves as civilized who are coming to help the uncivilized world. The Holy Nation principles call Israel a Son even when he looked like a servant and slave in our own eyes. Moses as a founding father of the Holy Nation was not allowed to say: I Moses came as civilized son and you were uncivilized slaves when I saved you. But the Christian Nation has written in their books that they came to Africa and found uncivilized heathen and gave them civilization through Christianity. Well they belonged to a Christian Nation that was a driver of Capitalism and not to Holy Nation that was a driver of Sonship. Then they designed a story of a Holy Moses and slaves of Israel. They never told us about The Holy Nation. The Christian Nation brought a Capitalist culture in all the dealings of the “church”. They took people in other countries and enslaved them and packed them in ships like sardines. All the while they took that as a Holy calling to “save” the Slave out of Africa and other places. This is why they are called a Christian Nation. They were ambassadors of Capitalism and Slavery. Today I see the African churches who still carry those scars. They design their Holy Moses who comes to help the unholy people. We have missed the Sonship System which is the Identity; the Economy and the Culture of the Holy Nation. This they do because they are trapped in the Christian Nation. They still exploit others and demand that their names be invoked in prayers. They have branded themselves as though God Himself is paying tithe to them. When you look at the oppression in their countries you understand why they perceive a calling as Masters who are coming to save slaves. In this instalment I am reminded to tell you that Moses was sent to God’s Sons who looked like slaves in our eyes. The King is sending you to go and find His Sons and Crown them. He is not sending you to go and enslave his sons to crown you. That was the message to Moses and may it remain the message to you. We have just finished a chapter 5 on the Holy Nation vs Christian Nation and we went back to chapter 1 of Holy Nation vs Holy Me. We did that by bringing it closer to the biblical story and we said Holy Nation vs Holy Moses. Our main newsflash was that the Gospel was never about Holy Moses it has always been about Holy Nation. The question is How did our gospel slip from Holy Nation to Holy Moses? How did we reverse again from Holy Nation to Holy Peter? Why is Holy Moses and Holy Peter today more popular than Holy Nation? Here is the answer: In order to grow a Nation you need a system of distribution of the economy. The Holy Nation has a certain class of people. It is a Nation of Kingly Priests. It does not say Kings and Priests. It says Kingly Priests. These Priests who are also Kings are of the same class. You have come to the general assembly and the Church of the First Born. 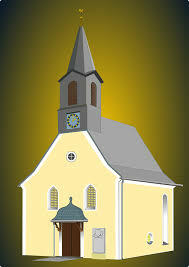 This Nation which is also Church is made up only of the First Born. It is a Holy Nation of the First Born. All citizens of this Nation hold the same status as The Son who is the First Born. By dying for us to share this inheritance we all had to share it as First Born. There are no Second Born and Last Born in this Nation. It is the Nation of the First Born. When you have citizens of a Nation which are all First Born Kingly Priests; how do you share their economy among them? Therefore this Nation cannot use our earthly systems of distributing the economy. The earthly systems use the Capitalist; Socialist and Communist way to distribute the economy. This means they conclude that there are classes from slaves to servants to Sons or masters. The Holy Me and the Holy Moses group have this picture when they “rule” in their gathering. I said earlier in order to grow as Holy Nation we need a System of Economic Distribution and it cannot be Capitalism or Socialism. When you use the Capitalist system you will face capitalist problems. In capitalism we have vocabulary that comes with the package. Today churches have Competition among themselves because they have chosen Capitalism. This means which congregation has more numbers more money more everything. In Capitalism we have poaching of customers and employees so as to learn the secrets of the competition. Congregations today are more about poaching members than winning unsaved souls. In Capitalism you can also play dirty and dig the dirt of your competition. Today we have congregations where this Pastor will dig the dirt of the other Pastor so as to win his or her members. In the Holy Nation we restore the brother we don’t dig the dirt of a brother. These are only few examples to show that the Holy Nation cannot use Communism or Capitalism to distribute our economy. Let us look in the next instalment which system we use as Holy Nation. I have given you in the past sixteen chapters that speak about the Son. By now I have already given you five chapters that speak about the Holy Nation. Moses had one assignment with the Children of Jacob. It was TO MAKE THEM A NATION AGAIN. They would not enter Canaan as groups of splinter tribes. They had to enter Canaan AS A NATION. It is of no use to take Slaves to Canaan. It is The Nation that has to enter Canaan. It is of no use to take Church Splinter Groups to Heaven. God needs His Holy Nation to inherit the Kingdom of Heaven. For as long as we are divided tribes of congregations we cannot inherit the Full Kingdom Benefits of Heaven. Just like Moses we need TO MAKE THEM A NATION AGAIN. This was NOT ABOUT THE CALL OF MOSES. IT WAS ABOUT THE CALL OF A NATION. We have reduced the story to be about Moses and God. God wanted to speak to the whole nation FACE TO FACE. Because He called them to be A NATION OF KINGLY PRIESTS. The Gospel of a Called Moses is our gospel. God dealt with a Gospel of A CALLED NATION. The whole Nation is called Son because God’s formula of building His Nation is Sons. This was not about Holy Moses (or Holy Me). It was about Holy Nation. That which is made Holy is CALLED BY GOD. Moses was not in the process of making Holy Moses but he was in the process of awakening Holy Nation. [07/02, 16:27] Vanto Vanto: This day as well we are in the same process. It is not about the Holy Me it is about the Holy Nation. What is the calling of this Nation? That we should SHOW FORTH PRAISES……..
.OF HIM WHO HAS CALLED US (THE HOLY NATION). Peter is talking about THE CALLING OF THE NATION BY GOD. This time is not about baby sitting the calling of the Holy Me. This is the time of blowing a trumpet to awaken The Holy Nation. These are Kings and Priests and not our slaves. We are not sent to prove to them our I individual Calling. We are sent to awaken Kings and Priests to their Calling as a Nation. MAKE THEM A NATION AGAIN. I have spent time with you on four installments that speaks to the subject of the Holy Nation. I have spoken to you on the subject of the Holy Me vs the Holy Nation. We as a people need to transition from the identity of the Holy Me to the Identity of the Holy Nation. For as long as the Holy Me is promoted in the Ministries we build the Holy Nation’s visibility will delay. The time has come for the Holy Nation to be visible. We need to point this Nation and the deeds of this Nation. The Nation of Islam is visible and their identity and purpose has been made very clear over the years. The Holy Nations visibility is obscured by a Nation which even the Nation of Islam is at war with. When the Holy Nation emerges it will not be at war with any other Nation but will swallow the Nations into its mission. Let us be clear that the Nation of Islam is not at war with the Holy Nation. The Nation of Islam is at war with the Christian Nation. The Christian Nation has been visible since the days of Roman Empire and the mission and deeds of the Christian Nation have been very clear. As an African Christian I am a victim of the Christian Nation and many of the things it stands for. The first thing which the Christian Nation did was to take lands in Africa and turned Africans into second class citizens of the Christian Nation. The Christian Nation has divided Nations and promoted wars which have become a great burden in Third World Countries. This is therefore not the Nation we were sent to Build and this Nation remains the strongest opposition of the Holy Nation. Many church organizations are still trapped in the agenda of the Christian Nation this includes well meaning church organizations. The Holy Nation is not made up of organizations but it is made up of Father-Son structured families. Son in this structure is neither male or female but a spirit of Sonship. That is why the Christian Nation find it easy to accommodate the revelation of the Christ of the Living God but finds it difficult to accommodate the revelation of Son of the Living God. The Christ of the Living God is the Power and Economy of the Holy Nation but the Son of the Living God is the Body and Visibility of the Holy Nation. The Christian Nation’s visibility is government’s and organizations not the Father-Son structure. The Christian Nation’s visibility is based on colour and country, it is based on title and gifting. The Christian Nation promotes other countries over other countries and for years it has promoted one race over another. The Father-Son wineskin is the visibility of the Holy Nation. The Christian Nation after realizing that they have forsaken the second part of Peter’s Revelation, are doing their best to bring the Father-Son wineskin. They have been best known with the Master-Slave wineskin where they initially declared other races to be destined to be slaves of other races. They find themselves now having “father-Master” hybrid which is developing “son-slave” hybrid. This is to prove that the Christian Nation is incapable of building through Father-Son structure. For this reason for Holy Nation to be visible the Christian Nation will meet its collapse. We have seen the Christ of the Living God displayed even by the Christian Nation. The Christian Nation has failed to make visible the Son of the Living God. I look forward to show you in the next instalment why it is difficult for them to display the Son of the Living God. Allow me to end this teaching by saying: The Son of the Living God is the Oneness of the Holy Nation and Visibility of the Body of Christ.